One of the most popular restaurants at Disney World is a small steakhouse tucked away in the Canada pavilion in Epcot, Le Cellier. If you have been a regular reader of Mickey by Mel you probably know that 180 days before you check into your Disney resort you can secure your dining reservations. Yes, this means that you are picking out where you will be eating 6 months in advance. But if you would like to get into the more popular restaurants that is when you need to be thinking about. 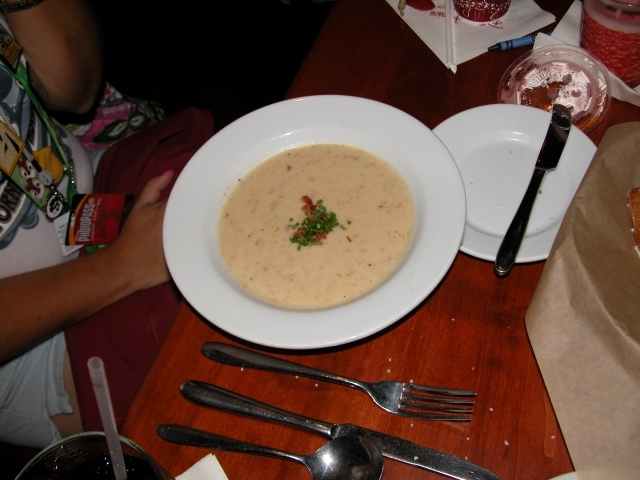 One of those restaurants that usually fills up on or near the 180 day mark is Le Cellier. Le Cellier is, as of 2012, a Signature restaurant for dinner (meaning it requires 2 Disney dining plan table service credits per person) and a standard table service meal for lunch (only 1 Disney dining plan credit). 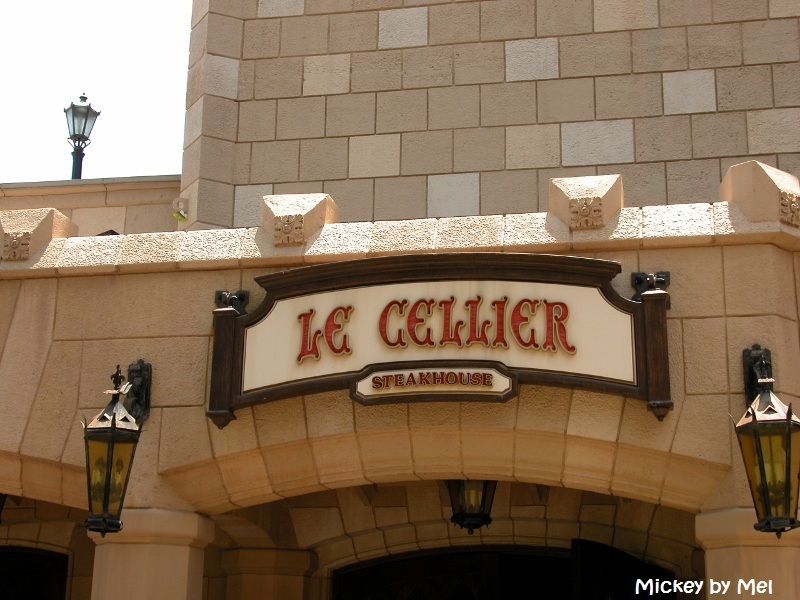 Starting in 2013, Le Cellier will be a Signature restaurant at both lunch and dinner. Ask your server about the meanings of each type of bread! Over the course of several years we have had several meals there that have been hit or miss. But for the purposes of this review, this will on focus on our most recent visit in July. We had an early reservation and were seated promptly, always a good start! We were shown to our table and met our waiter. He was a lovely young man, whose name unfortunately escapes me at the moment. We ordered our drinks –might I recommend the strawberry smoothie. It is delicious! He also brought out our bread. 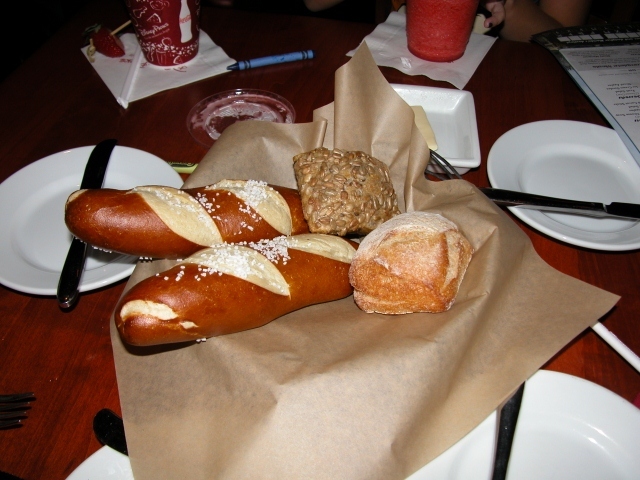 While everyone knows about the pretzel bread, the bread basket actually contains a trio of breads that represent different regions of Canada. For all times we have eaten at Le Cellier, this visit was the first that the trio was explained to us. Ask your server – it is quite interesting! 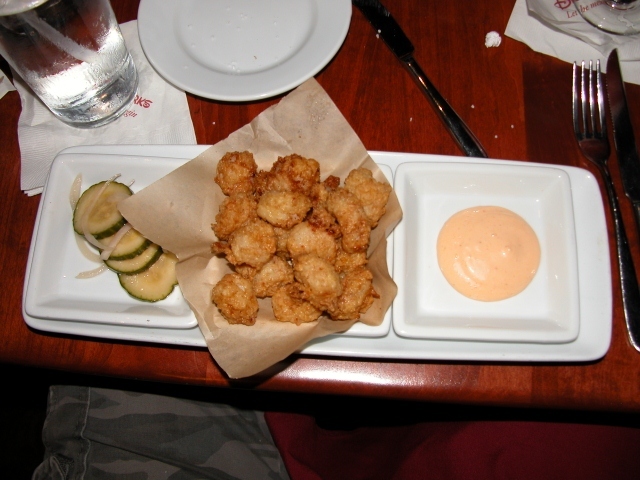 This is a staple at Le Cellier and a most frequently ordered item. These shrimp were some of my favorites! Onto the entrees and here we were split. I ordered the Wild Mushroom Filet Mignon. 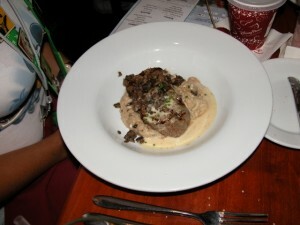 This is a signature dish at Le Cellier and I have to say I was not disappointed. The filet was quite tender and cooked to my liking (medium rare). The risotto was cooked just right and had a creamy, earthy flavor from the mushrooms. Chris ordered the New York Strip Steak and was underwhelmed. When he started eating the flavor was fine but just a couple of bites into his steak and he found a large vein of gristle that ran through most of the steak and was quite fatty on either side. There was very little meat to be eaten on the steak itself. Since we had waited for a fair portion of time for our entrees to arrive he didn’t order a new entrée and give up even more park time. For dessert I took the recommendation of our waiter. I don’t remember what it was called other than it was a deconstructed variant of a popular Canadian candy bar. It was pretty tasty but to be honest didn’t leave a lasting impression as I cannot recall the name of it! Chris ordered the maple crème brulee. We are always fans of crème brulee and I have to say that this one did not disappoint. 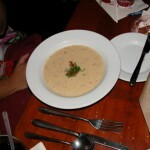 It was rich and creamy with enough maple flavor to be distinct but not enough to overpower the dish. 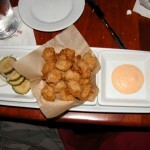 Now, here is the question…is it worth 2 Disney dining plan credits? While that is a personal decision each person makes, I can tell you it is unlikely that we will be frequenting Le Cellier after the New Year. As a one credit meal I thought it was a good value – the food is good, the ambiance is pleasant and we have usually had good service. But with so many fabulous Signature restaurants, I just can’t put Le Cellier in the same category. Great article! I recently booked a reservation for a client and they loved it! Kelly, Le Cellier’ is one of my favorite restaruants at Epcot. 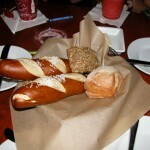 I love the pretzel Bread. I love the Maple Creme brulee as well.